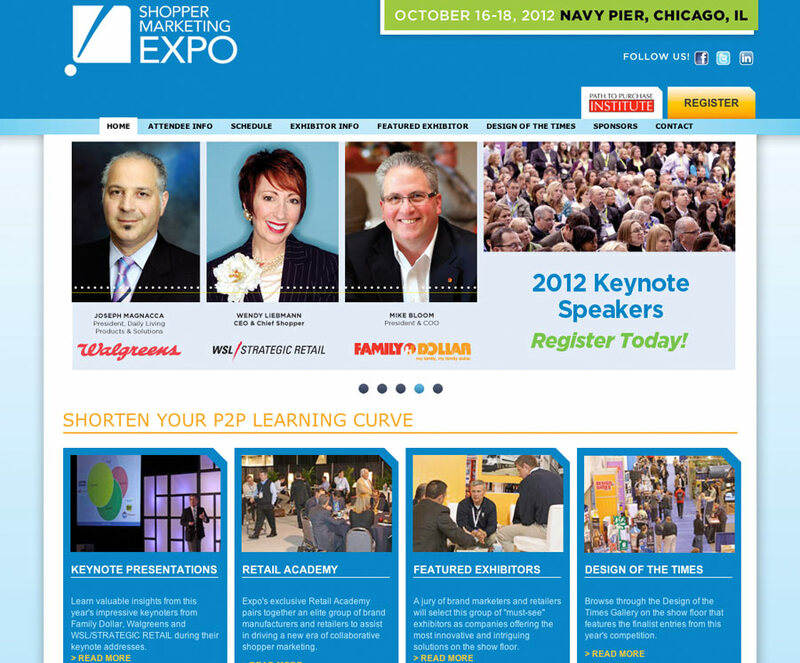 The Path to Purchase Institute asked us to create a fresh web presence for their annual Shopper Marketing Expo at Chicago’s Navy Pier. P2PI loved what we did for their Design of the Times microsite and wanted us to go bigger, better, and more dynamic, so we kindly obliged. The site was developed on Drupal to create a feature-rich, custom experience while maintaining the ability for our clients to update any and all content on-demand. At over 50 pages, the Drupal content management system has kept both the look and the information up to date from the home page to the deepest informational pages.